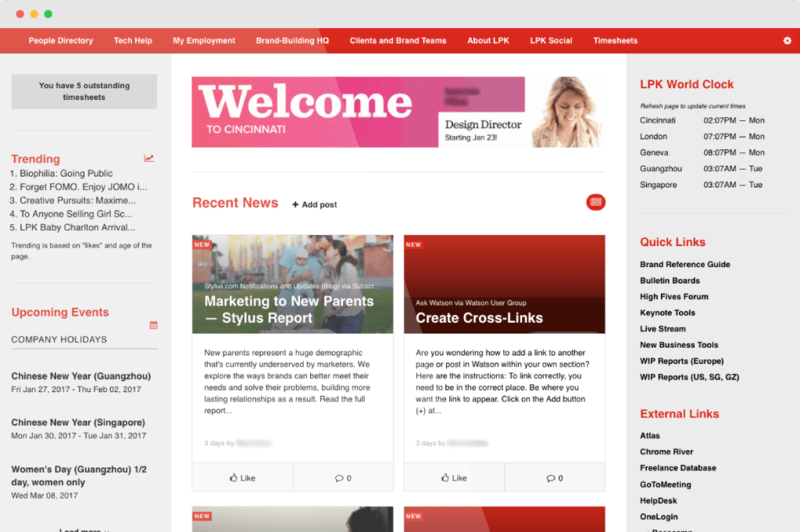 To ensure the success of your intranet you need to generate excitement about the new site. 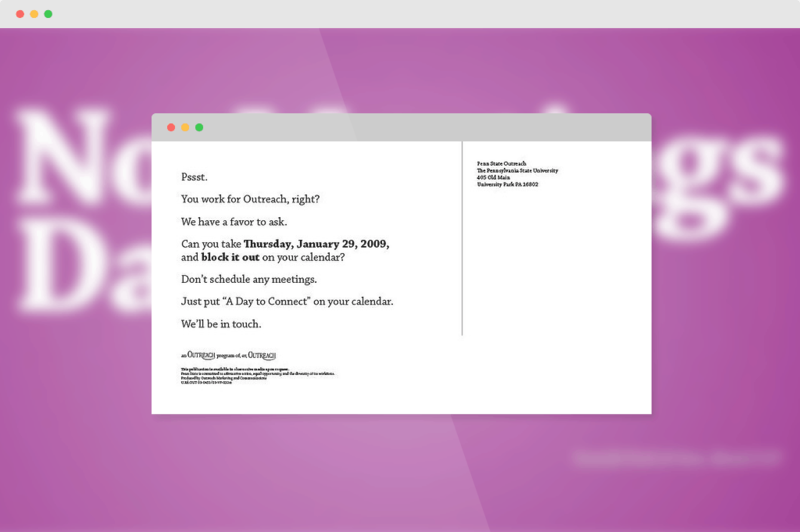 Here are 38 real-world ideas you can use for your own intranet launch strategy. We’ve compiled our FAQs into this easy-to-follow workbook. How they created excitement and mystery in just 7 weeks. A new intranet can significantly improve your workplace; but that success isn’t going to happen on its own. To ensure the success of your intranet you need a focused, dedicated, and creative intranet launch strategy. Here are 38 real-world intranet launch ideas you can use to propel your intranet. We’ve grouped launch ideas to correspond with your intranet launch timeline and stages. Involved employees feel more ownership in the intranet process, which is why this is a vital part of an intranet launch. 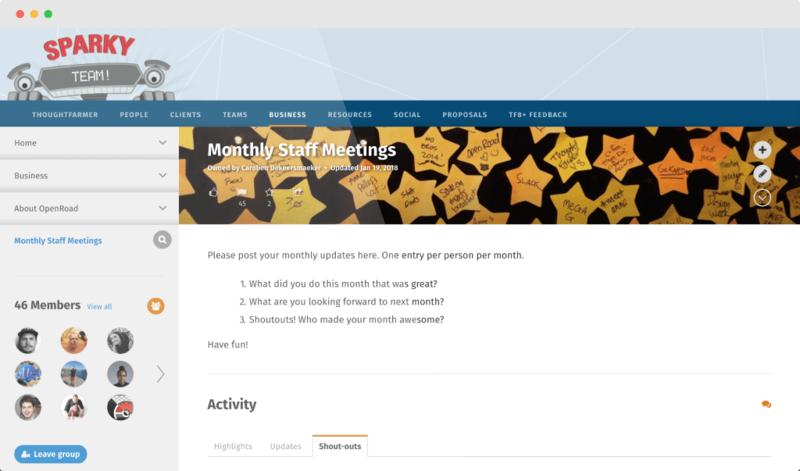 Spark excitement and relieve concerns by offering employees a sneak peek into their new intranet. Include employees in early intranet discussions and learn how your new intranet software can help them. Our article on 15 ways to engage users in launching a social intranet offers tips on including employees in product evaluation. Employee feedback is essential to designing a useful, usable intranet. Get employees to participate in card sorting and task testing activities for your new intranet. Not only will you end up with a stronger navigation, but you’ll also show employees that you value their input. 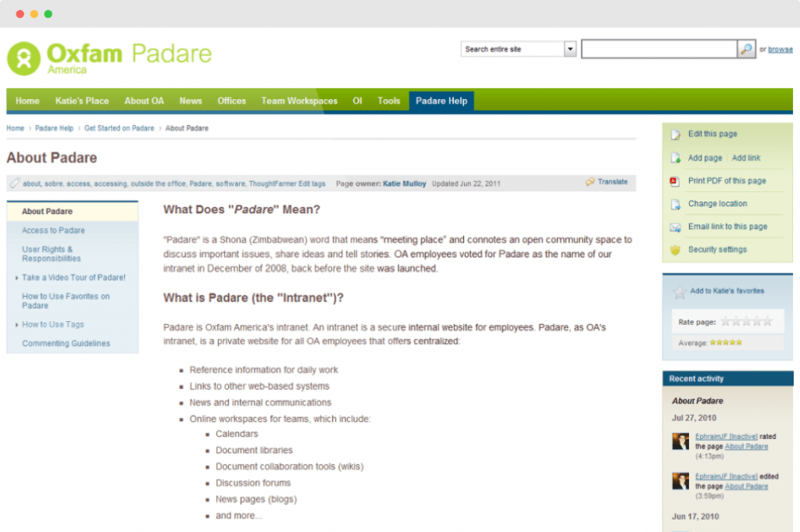 What’s in an intranet name? Well, if one person determines the name, not so much. But, if you run an exercise that allows all employees to suggest and vote on names for the intranet, then the name will be exciting and engaging. For a step-by-step guide, see our article on Crowdsourcing the name for a new social intranet. Also, see Stephen Schillerwein’s long list of real intranet names. Penn State had a brilliant intranet launch plan that sparked a lot of excitement. 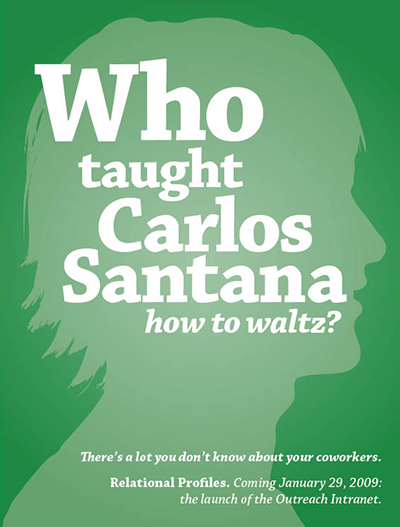 One aspect of launch included a series posters that shared little-known tidbits about Penn State employees. These posters generated interest in the intranet’s employee profiles. A few years back, Splio won a ThoughtFarmer award for best looking intranet. Their fun intranet brand started with a clever name that tied into their company culture and extended to every page of the intranet, including the login screen. By having a few engaged users (hopefully tech-savvy executives) fill out their profiles as examples, you can achieve two things. First, you’ll provide recognition to a group of highly motivated users, and secondly, you’ll help other users see what’s possible. This approach uses influencers to promote your intranet, which means less work for you and more credibility with your users. If you have a database of security badge photos or some other repository of staff photos, consider uploading them to user profiles in advance. Replacing blank profiles with real photos will instantly bring your people directory to life. 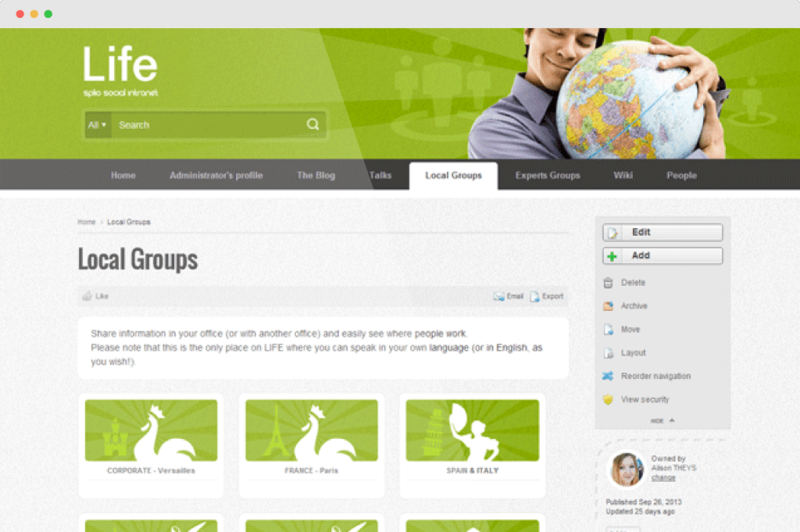 This will make your intranet look even more engaging on launch day. If you’ve engaged your intranet stakeholders and power users ahead of time, this step should happen quite naturally. The key is to get your content owners, news authors, and group owners involved before launch. See our article on how to manage intranet contributors for long-term success for specific tips and guides. Some employees just want the specifics. By creating and circulating an internal announcement or press release you can concisely educate employees ahead of time on what your your intranet is called, how to navigate it, and most importantly, why it exists. Focus groups are important in determining how your users feel about your intranet prior to launch. Take this small group out for lunch to discuss how they feel about the upcoming launch, and ask if they have any feedback to share. Be sure to include potential tech laggards in this group too! A countdown clock reminds employees of when an old intranet (or way of doing things) will be retired. It also sets firm expectations about change. To prepare users for a new intranet, one of our customers actually made the top banner of their old intranet look like it was decaying. Depending on your product or service, you likely have a target persona, or ideal customer. Give that persona a name and a dedicated spot on your intranet. Having this information visible to all employees will go a long way in reinforcing your core business to your employees. This is the day you have been preparing for! If you want employees to have a good first impression of your intranet, it must be immediately interesting and useful. Don’t hold back—no idea is too wild for launch day. 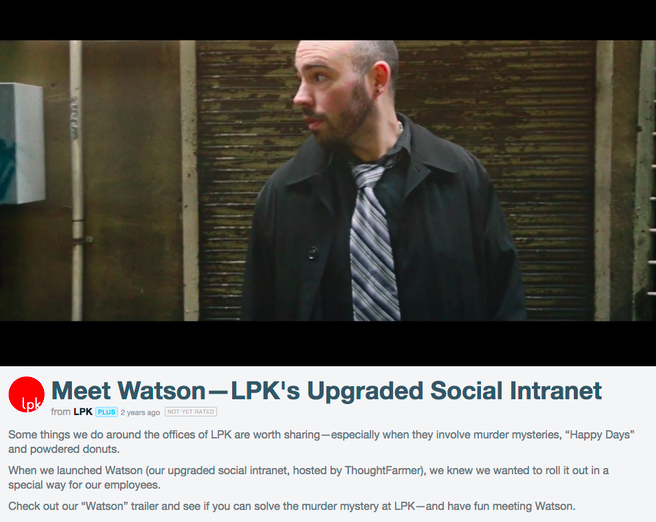 LPK, a design and branding firm, launched their intranet with this entertaining video designed to look like a movie trailer. But don’t worry, your intranet launch video doesn’t have to be that elaborate. Ellen van Aken has compiled a list of 50 intranet launch and promotion videos of all types for even more inspiration. Nigel Williams, former intranet manager at Romec, led a successful intranet treasure hunt as part of the launch of their new intranet. The competition was designed to build familiarity with the new intranet and offer an excellent prize worth winning—a trip to New York City! Learn more about what makes Nigel Williams a successful intranet manager in an article from our Real Intranet Managers blog series, Nigel Williams is a workplace anthropologist. For dispersed offices, an intranet launch is the perfect opportunity to bring people together. By hosting a video conference, you can introduce your new intranet software, and show it as a global resource. Penn State advertised a No-meeting Day when all employees could spend time exploring the new intranet. Office-workers’ common distaste for excessive meetings fuelled excitement for No-meeting Day and, consequently, the new intranet. Informal get-to-know-you sessions can help employees ask questions and learn about your new intranet in a non-intimidating environment. Don’t forget the cookies and pizza! Display your new intranet wherever possible, including any big TV screens. The TV in reception, or the kitchen, or even the small screen in the elevator — show off the intranet everywhere you can. It’s important employees become familiar with your intranet’s features and functionality as soon as possible, and Intranet Bingo can help. To play, simply distribute Bingo cards that list things like employee titles, departments, or group names in a bingo format, and then instruct participants to look it up on the intranet. The first person to successfully complete the activities and get five in a row wins a prize. By hosting an Intranet Bingo game, you can challenge employees to successfully navigate your intranet in a fun and creative way. Consider coordinating an intranet launch party around a specific sporting event. For example, you could host a your party to coincide with an MLB game, and provide employees with a loot bag full of Big League Chew, sunflower seeds, and a postcard that highlights important intranet information. Idea #24: Throw a baby shower! Don’t let the excitement of launch day wear you out. If you want to sustain solid adoption metrics, your intranet will require an ongoing commitment of post-launch activities. Employee recognition has a big impact on employee satisfaction—especially if it’s sincere and spontaneous. A Shout-outs section lets any employee contribute new posts, allows commenting on every post, and sits in the global navigation. This is empowering for both the people offering kind words and the recipients of congratulations. At Mountain Equipment Co-op (MEC) many employees work part-time hours and don’t sit in front of a computer. After the launch of their new social intranet, MEC made it accessible from home computers and saw a great increase in traffic. By offering both critical information for employees and community pages for employees to connect on, MEC gave their new site powerful pull. If you allow your employees to edit their profiles and choose their own profile photos, they’ll feel more invested in the intranet. You’ll also see people’s personality come through too. 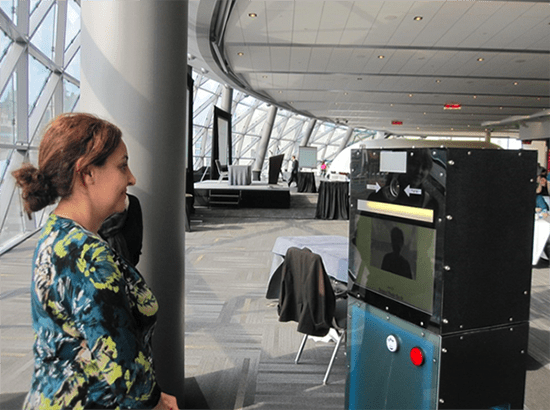 Some companies bring in an actual photo booth to take employee photos. What’s the most popular type of news on intranets? News about employees! Employees will always flock to stories about other employees, regardless of company size. This type of news is relatable, human, and interesting. Employee stories are also a fantastic way to tell your company’s brand narrative. One of our clients has a large backlog of photos to post because so many employees love the photo-of-the-day feature. 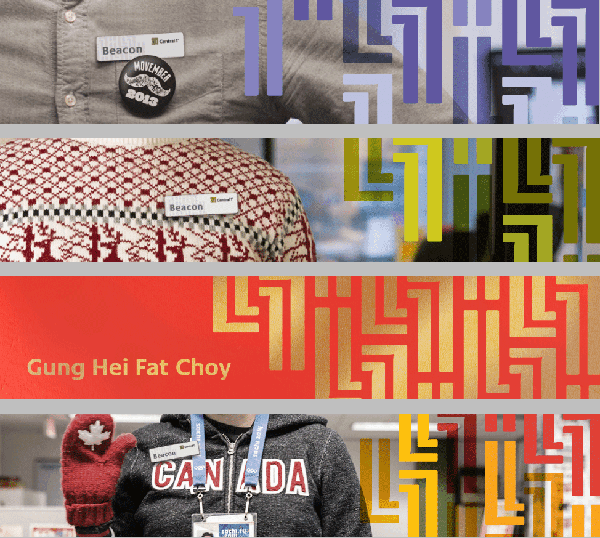 It puts employees in the spotlight and highlights their creativity. If this is something your employees would enjoy, why not use it to drive more eyes to the intranet? One of our clients launched their new intranet at the same time they launched a new online timesheet system. They made the timesheet system easily accessible from the intranet, which helped drive consistent traffic to their intranet. LPK integrated their mission-critical timesheet system with ThoughtFarmer. If you have ambitious adoption goals, your intranet must be easily accessible. This means optimizing your intranet for mobile—either with a stand alone app, or with a mobile responsive design. This will make it easy for employees to search and locate all the information they need to get their work done. Announcing employees on your intranet is not only a great way to showcase new employees, but it’s also a good opportunity to involve new staff in your intranet from their very first day. Creative quizzes have gained a lot of popularity in the last few years thanks to sites like BuzzFeed. Why not feature one on your intranet? They are a fun way to learn about your coworkers. Afterall, who doesn’t want to discover which Full House character they look like the most? Or which state they should really live in? Why use regular employee photos when you can have creative sketches and avatars instead? Thanks to freelance service like Fiverr, it’s easy and affordable to manage these illustrations. A large component of intranets revolve around your people, so why not individually celebrate them? Dedicate space on your intranet to showcase not only an employee’s role within the company, but also to highlight their interests and achievements. Your intranet should have attainable goals and metrics, so why not make it visible to the entire organization? When employees see the intranet metrics for themselves they will be more invested in the adoption and success of your intranet. Keeping your intranet fresh and dynamic is a great way to keep employees returning. One of the easiest ways to accomplish this is by taking advantage of customization opportunities—like the header on your intranet homepage. A few of our customers change this up frequently, as seen below with Central1 Credit Union. Once your new intranet is up and running you’ll have plenty of news; especially if you’ve enabled news authors throughout the organization. By sending a weekly email with links to popular news, you can reach employees in their inboxes. People can easily scan the news digests and follow links to stories that interest them. ThoughtFarmer has this feature built in—you just need to turn it on in the admin panel. These 38 ideas represent just a tiny sampling of what’s possible for an intranet launch. You can find inspiration in advertising, in public marketing, and even in business and history books. Hopefully this list of intranet launch ideas provides a spark of inspiration to help you get the most from your intranet software. The next step is to combine your own creativity with your company’s unique culture to find the ideas that will work best for your intranet launch. Good luck!